On loan from Olympiacos, young full-back Konstantinos Tsimikas enjoyed a wonderful season at Eredivisie outfit Willem II, impressing enough to earn a probable recall to the Thrylos. AGONAsport investigates further. Having previously been on the books of Serres and Panserraikos, Tsimikas initially joined Olympiacos in July 2014, later making his Super League debut with the Thrylos in a game against Kalloni in December of the following year. He went on to compete in a further three championship matches, but he lost his way in Piraeus when boss Marco Silva departed, failing to make the Olympiacos squad and forgotten on the sidelines. Aiming to revive his budding career, the left-back moved on loan to Denmark’s Esbjerg in December 2016, playing in 13 Danish Superliga fixtures and contributing with a couple of goals and assists. Tsimikas left relegated Esbjerg after the 2016/2017 season’s completion, but instead of returning to parent club Olympiacos, he was shifted out on another loan deal, this time to Willem II of the Dutch Eredivisie. It turned out to be an inspired move. All of a sudden, Tsimikas transformed into one of the most promising young Greeks on the continent, starring for Willem II in his maiden season in the Netherlands. Slowly, the 22-year old gained the trust of the club’s coaching staff, becoming a first choice on the left side of defence. He even chipped in with a fair share of goals too, netting three in the Eredivisie and a further three in the Dutch Cup. According to reports in Greece, incoming Olympiacos manager Pedro Martins is keen on taking a look at Tsimikas ahead of next season, inserting the defender into his plans alongside fellow loanees such as Manolis Siopis and Giorgos Manthatis. However, unlike at Willem II, Tsimikas won’t be guaranteed a starting spot in Piraeus. 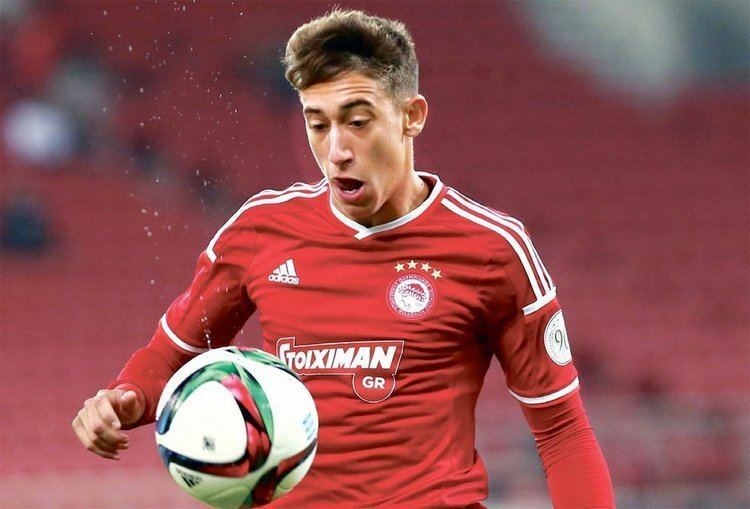 Olympiacos already have 22-year old Leonardo Koutris for the same position, meaning that Tsimikas might have to be content with being back-up. Is that the required option for Tsimikas at this time in his career? To be honest, probably not. Coming off the back of a superb season, he needs to continue developing and not keeping the bench warm. On the other hand, if Tsimikas impresses Pedro Martins in pre-season, he could assert serious pressure on Koutris and receive several opportunities to display his capabilities with the Thrylos. A bright future beckons.